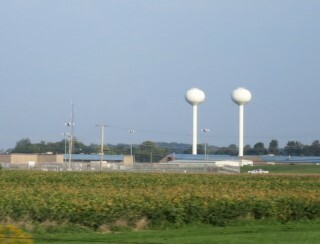 Here is a photo for all water tower lovers that will have you seeing double. This photo was taken from a September 2014 road trip. The location is I-44 somewhere in Missouri (probably around Springfield). 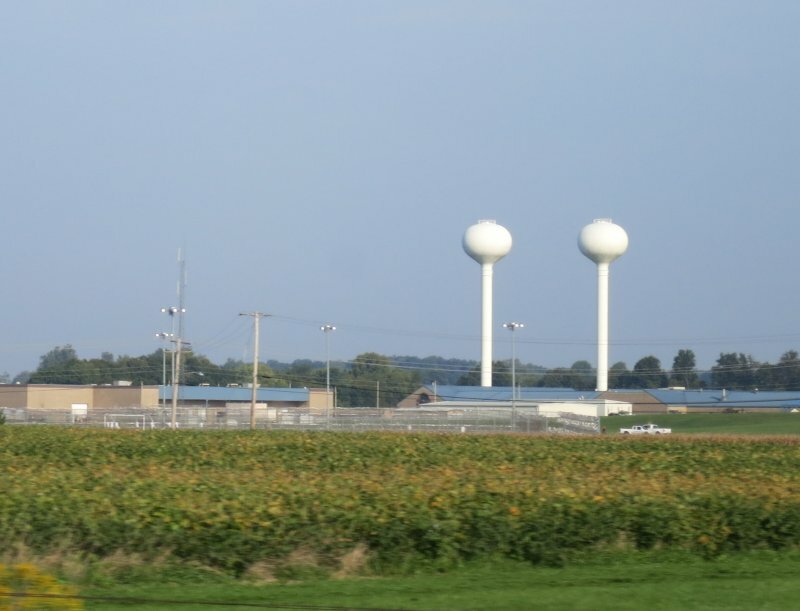 The prison assures humane treatment by providing redundant twin towers. Note that the towers are not water spheres but rather spheroids. Still that does not deny their nice placement and the designer’s double vision. This entry was posted on Tuesday, September 23rd, 2014 at 8:39 am	and is filed under Competitors, Photos. You can follow any responses to this entry through the RSS 2.0 feed. Both comments and pings are currently closed.